This coin by Roman standards is a very common coin and is for that reason I have it. 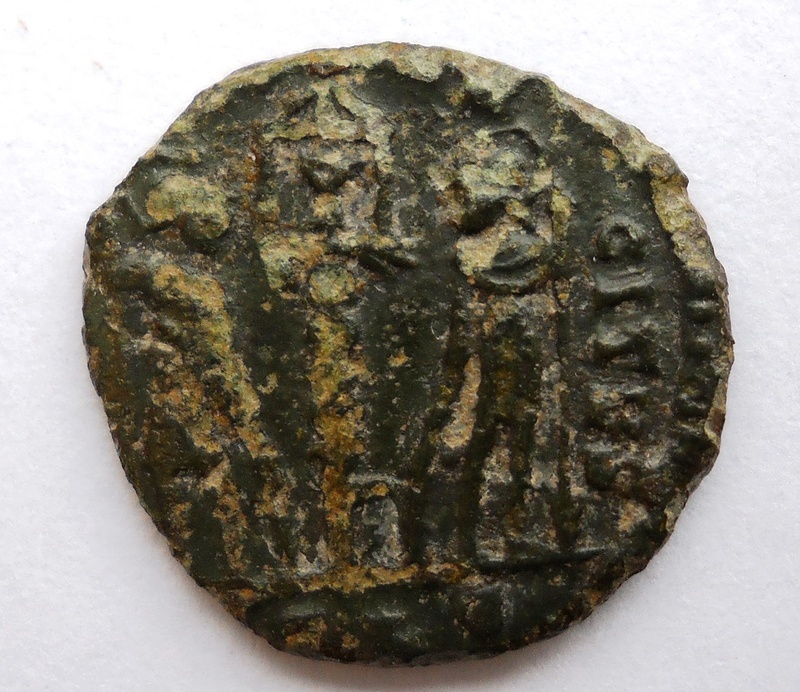 It is a GLORIA EXERCITVS issue of the emperor Constans, minted in Lyon and dating from around 337-341 AD. Most private coin collections seem to consist of sparkling early Roman silver denari that are immaculately preserved however I would suggest the unassuming late Roman bronze nummi like this coin pictured should remembered too. 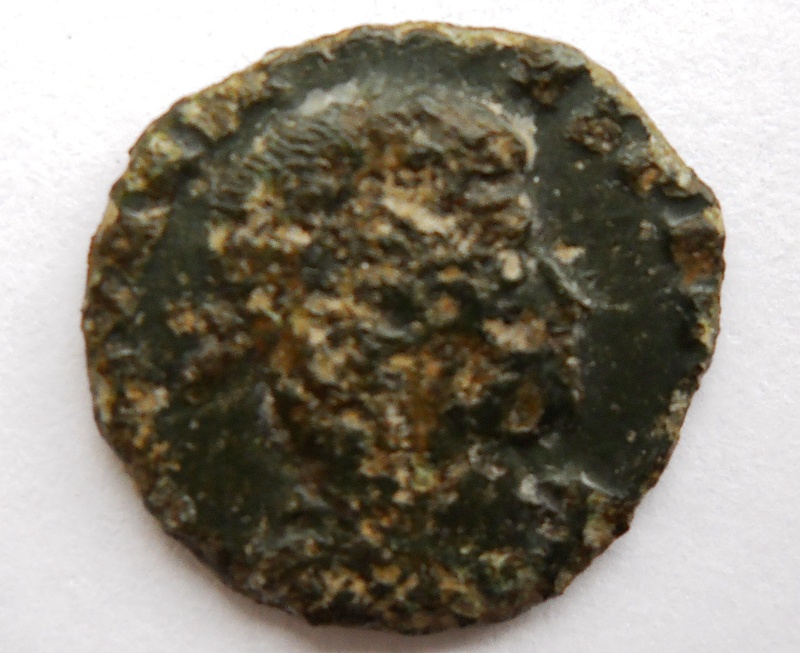 This rather poor looking coin comes from a time when huge numbers of Roman coins were imported in to Britain and consequently used and the GLORIA EXERCITVS Issues ( which translate as ‘The Glory of the Army’) is one of the most common coins found in Britain. Furthermore if Britain ever achieved a proper monetary economy under the Roman Empire, the success of which is sometimes debated, then the 4th century is most likely time that such an economy operated. 4th century coins, as a genre of Roman coins, are rather distinctive and in my opinion have character, whilst the portraits are stylistic losing the truism of earlier imperial coins the reverse sides are rich in iconography and propaganda, especially military iconography with barbarian slaying becoming a particular favourite just after the middle of the century. Poor Constans. He got a fairly raw deal from what I know.